Stratasys (Nasdaq:SSYS) in Eden Prairie, Minnesota, is developing a new additive manufacturing (AM) platform for short-run metal applications based on Stratasys’ Layered Powder Metallurgy (LPM) technology, designed to make production of metal parts faster, easier, and more cost-effective, with the goal of helping customers pioneer a new era in additive manufacturing for production-grade metal parts, officials say. The advanced platform combines the value of additive manufacturing with short-run metal parts production, and is intended to disrupt conventional manufacturing approaches – driving improved efficiency and cost savings using standard powder metallurgy (PM) alloys, mechanical properties with high accuracy and controlled shrinkage, and fast throughput. “Current approaches to 3D printing metal parts leave a lot to be desired – including slow postprocessing, painstakingly intricate support removal, and hours of matching and grinding,” Rafie Grinvald, director of product marketing and management at Stratasys. Combined with the high cost of AM powders, this means each part is expensive, with a total cost of ownership that is too hard to justify. 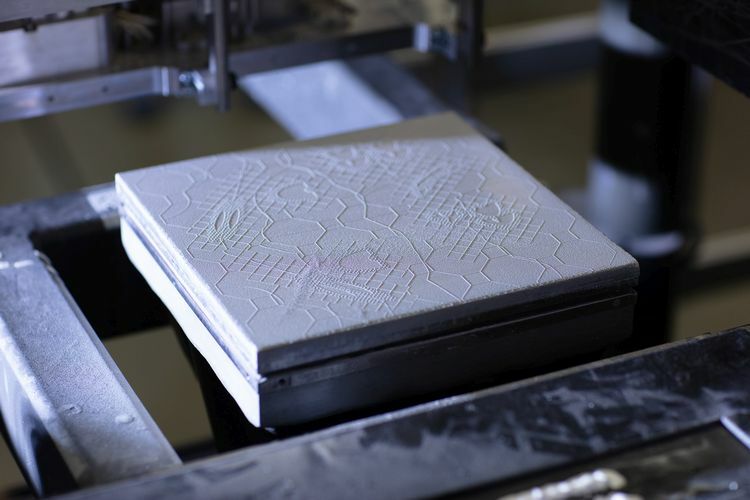 “Our new platform is being designed to transform the current metals additive manufacturing landscape – presenting a viable alternative to typical production methods – and helping customers dramatically reduce the costs of creating reliable, consistent production-grade, metal parts for short-run applications,” Grinvald adds.